Mini meet-up at my house! 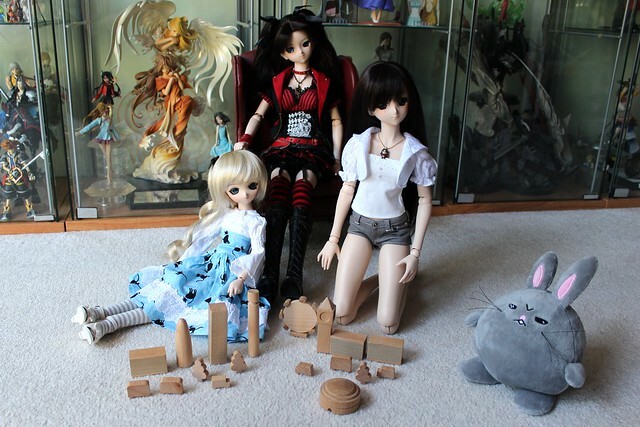 Today whitefrosty and Machiko came over for a little bit to hang out and play around with my dolls. Machiko’s yo-SD Sora was still at my place, but she also brought over the LUTS winter event head from last year to try out on Thaddeus’ body. 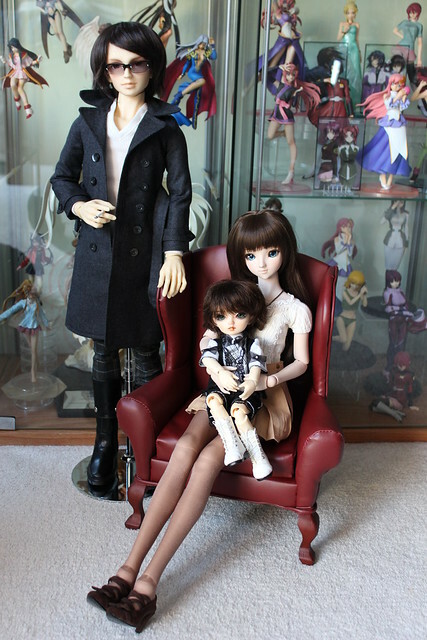 Last Saturday I had my sister’s little yo-SD with me when I visited the Volks USA showroom. 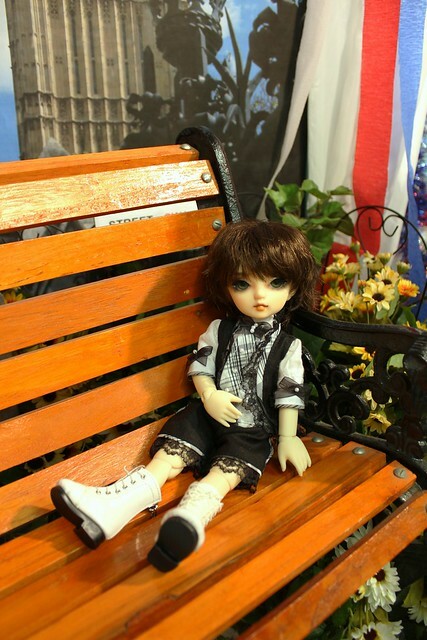 Little Sora got very comfortable on this bench, fell asleep and had a strange dream. It must have been influenced by the Olympic Games and London themed photo-space he was relaxing in. It’s a lovely day in merry, old England. 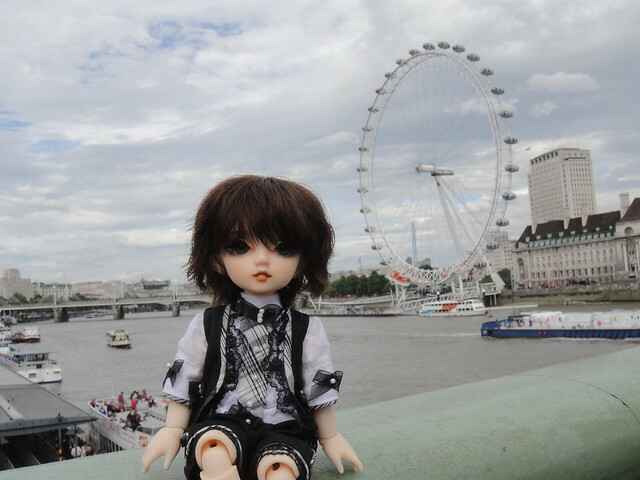 Sora is sitting on a bridge of the Thames River in London with the London Eye slowly rotating in across the way. 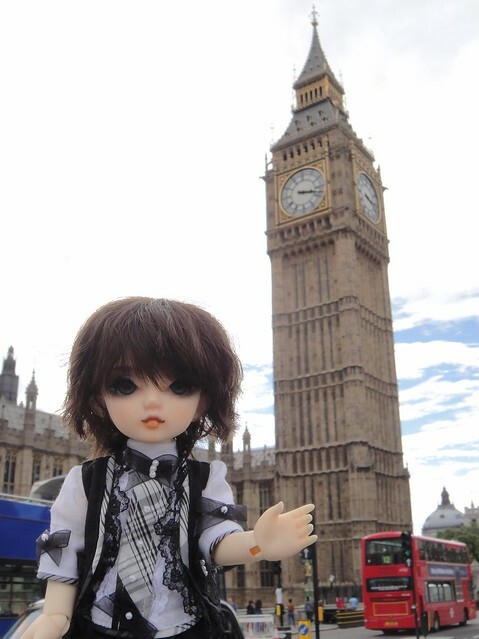 Check it out – it’s Big Ben! And is that a red double-decker bus that just zoomed by? Suddenly Angry Bunny hopped in the room with some news. Apparently a big box has arrived! This looks interesting with all the “FRAGILE” markings all over it! Gabi and Angry Bunny brought the box into the room. Last Saturday morning I met up with fellow Dollfie Dream owners Innocentsaké, her husband David, BerzerkFuryZero, Kenny_Ngyuen and Vicky for breakfast in Torrance, California. I was in Los Angeles for a very short layover, but it was great that everyone was able to make time to come hang out! 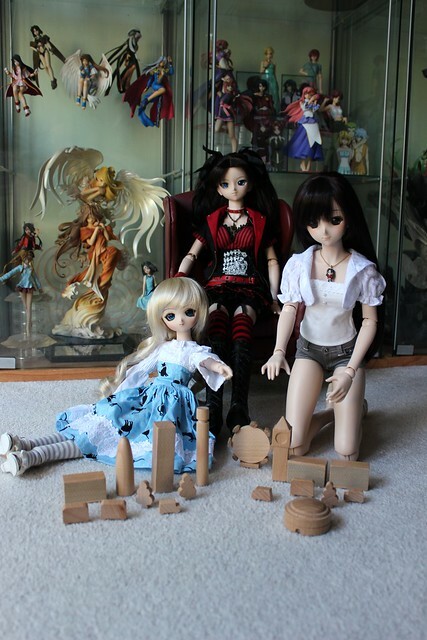 This past weekend a few of the Toronto Dollfie Dream owners got together for another meetup! We met up on Ward’s Island again, in the same lovely spot as our June meetup and it was a perfect day to head out to the Toronto Islands! With 16 people, this was also our largest meetup so far – both in terms of attendees and dolls! How fantastic! The theme of this meet was “Your First” – but it was left fairly open ended as to what it was your first of! Since it was a lot of work bringing food and drinks for a full potluck lunch, we decided to meet a little later so that everyone could have lunch first and then we would have lots of desserts on the island! There was so much delicious sugary awesomeness! 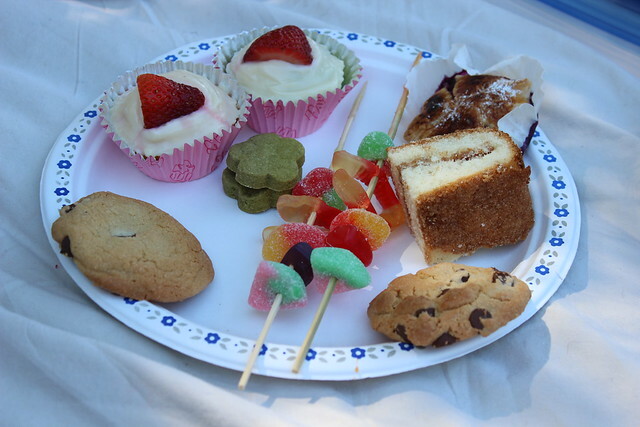 There were cupcakes, a coffee cakes, homemade cookies, matcha shortbread, doughnuts, candy kebabs! Oh my goodness!! Dollfie Dream Natsuki v. 2! 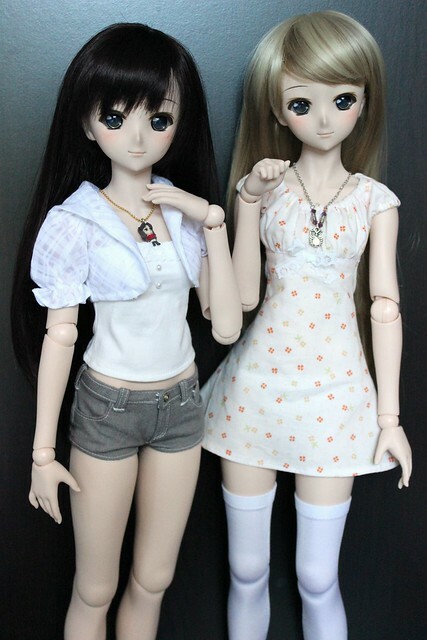 Volks recently re-released one of their popular Dollfie Dreams from the Akihabara Girls series – Natsuki! I entered the lottery for her on a complete whim and was completely shocked when I won! 0__0″ I’ve been known to have horrible luck with lotteries and to win was very exciting! As much as I don’t like splitting up full sets, I really wasn’t interested in keeping Natsuki since I already had her twin sister, Moe. Luckily, some friends in the hobby purchased the items I wasn’t interested in. 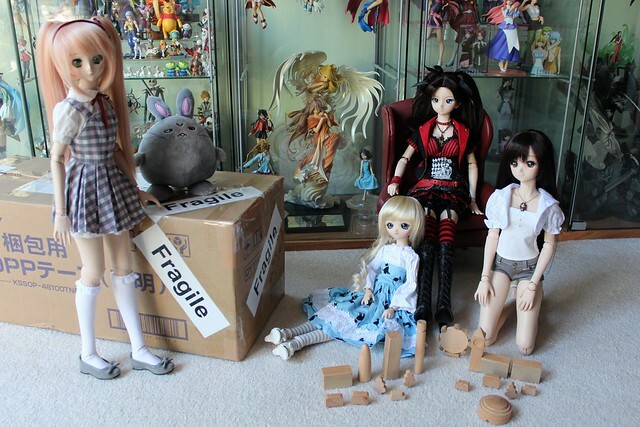 Natsuki arrived today, and I took a few photos of her box opening since I had to check that everything was ok.
Rin was taking advantage of the nice weather today to take some photos of Gabrielle and Moe.